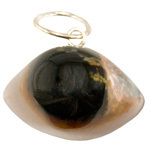 Generally we carry Shiva eye stones that are .75 - 3 inches in length. 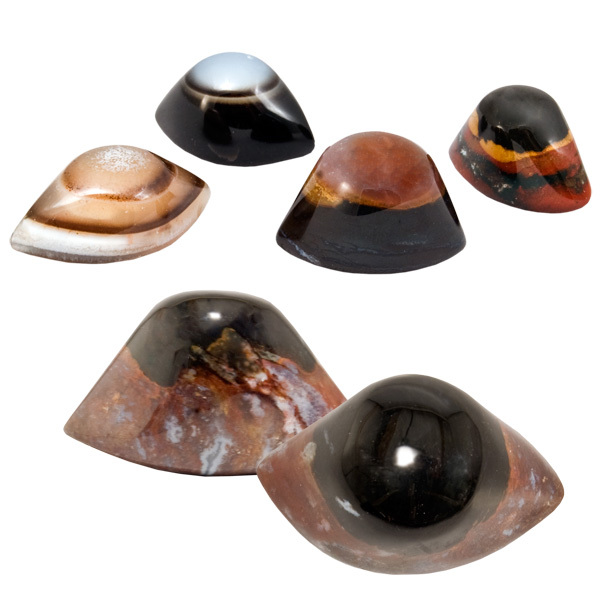 Also called a third eye stone, Shiva's eye agate, found in India, is composed of concentric rings of different colour agates. 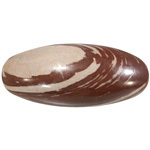 The beautiful stones wash up on a riverbank and are carved and polished into the shape of an eye! 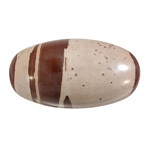 Long believed to provide protection against evil, enhance psychic abilities, intuition, extrasensory perception, imagination and concentration!